When people think of Cooler Master they typically think of computer cases and cooling equipment. 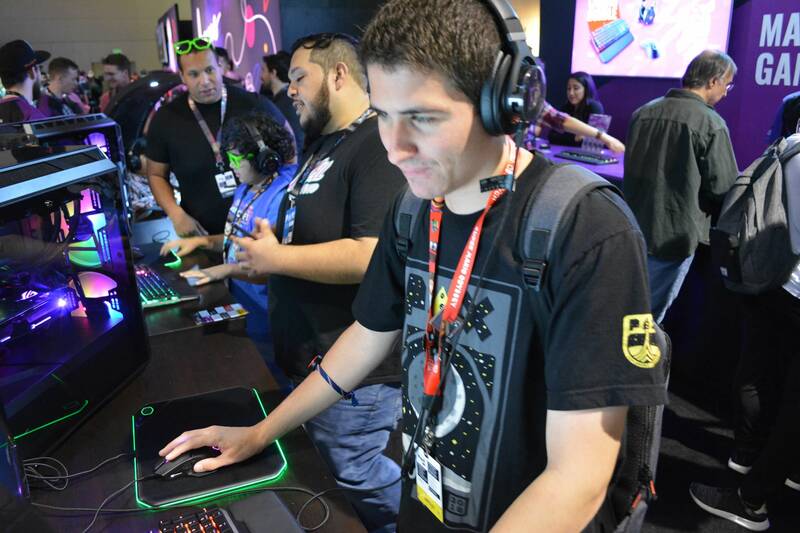 You may be surprised to find that they also offer PC peripherals including mice, headsets, and keyboards. 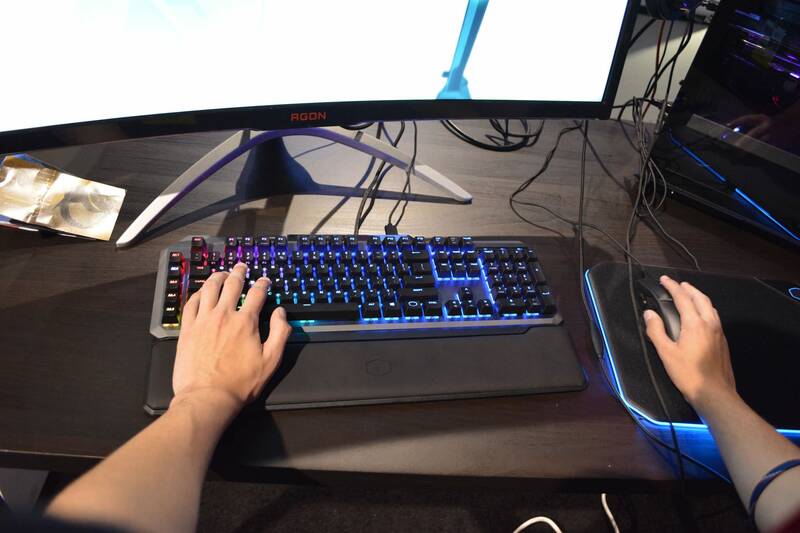 We’ll take a closer look at the latter today, as we had the chance to test out the upcoming MK850 keyboard at this year’s PAX West event in Seattle. The MK850 features Aimpad technology, the first of its kind. What this Aimpad tech does is enable more precise control with the movement keys. These keys utilize IR to determine how hard of a key press you performed. This enables analog controls closer to that of a standard controller, which was previously impossible on standard keyboards. The 8 keys that feature this technology are ‘WASD’ and ‘QERF’, as they are typically the standard movement keys. I had a chance to test this out with Superhot running on one of their PC configurations, and the tech definitely shines. 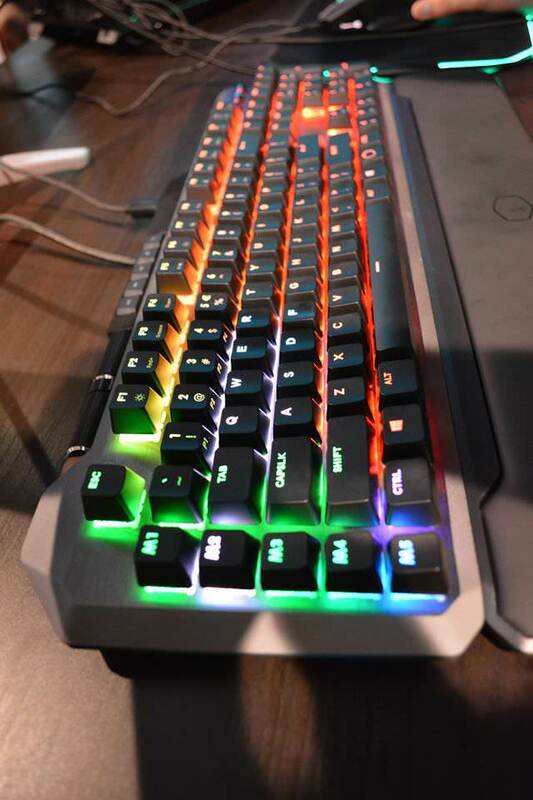 Along with the Aimpad features, the MK850 has everything you’d expect from a modern gaming keyboard; RGB lighting, multimedia keys, macro keys, and 2 USB ports, just to name a few. Another standout feature to me was the wrist wrest that snaps onto the keyboard. It is magnetic, so it clips right on and is very comfortable – perfect for long gaming sessions. I’ve always been a fan of Cooler Master’s fantastic PC cases and cooling equipment, but I was unaware at how well they have transitioned into peripherals. The MK850 looks very promising and is a good candidate for my next keyboard purchase whenever I decide to upgrade my setup. As of now, we have no price or release date, but we will be sure to keep you updated as new information becomes available.